The highlight of the Christmas racing season takes place at Kempton Park on Boxing Day the 26th December. The King George VI Chase was first run in 1937 and has been won by racing greats such as Kauto Star, Best Mate, Desert Orchid and The Fellow. Run over 3 miles on a right handed flat course, the King George VI Chase is seen as one of the mid season stepping stones to the Cheltenham Gold Cup in March. It has a roll of honour including all of the great names in National Hunt racing and this years renewal looks set to be a cracker with last seasons Gold Cup first and second taking each other on. As well as two exciting, unexposed middle distance horses who step up to 3 miles for the first time, and the continued comeback of the 2016 Stayers Hurdle winner. Our friends at betopin.com have produced a King George VI Chase betting preview which will take you through the leading contenders. Last season's Cheltenham Gold Cup second, who just got out stayed by Might Bite up the Cheltenham Hill. He made a very disappointing comeback however in the Betfair Chase where he appeared to stop very quickly after the last. His trainer, Nicky Henderson has insisted that he just needed the run but stopping that quickly is always a concern and he will have to come on plenty to challenge in The King George VI Chase. 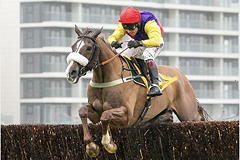 Colin Tizzard’s front runner won the Cheltenham Gold Cup last year when outstaying Might Bite in an epic dual. He will surely go out to try and make all in this again and you would expect him to be in the shake up. In his only other run at Kempton however he was beaten when 6/4 favourite. The popular grey who loves Haydock Park won back to back Betfair Chase’s in November, beating most of these rivals in the process. His form at other courses is a concern and it would be surprising if he could turn that around now. 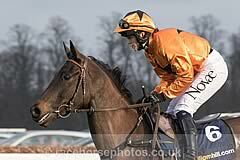 Paul Nicholls charge goes up in trip here after winning over 2m 5f at Ascot last time. The horse he beat that day, Charbel, has subsequently franked the form when he won the Peterborough Chase in impressive fashion. He is a super jumper and if he is to get the trip it could be here. The Stayers Hurdle and King George VI Chase winner has had his last two seasons held up with injury, but his reappearance in the Betfair Chase at Haydock was eye catching. His jumping was sticky but that could be expected on his first run back and he stayed on all the way to the line to only be beaten 5 lengths. If he can reproduce his old form he should be right there. Has a bit to prove going up in trip for the first time on his return from injury. You would imagine that his trainer Ruth Jefferson has later season targets in mind, so he may not be fully wound up for this. He has the class but this will be a big ask against top class race fit rivals. The horse that put Lizzie Kelly on the map by winning the Grade 1 Feltham Novices Chase here in 2015. His record around Kempton reads 3 wins, a third and a fourth from 5 runs. Those only two defeats have come in this race in the last two seasons, where he was only beaten 3 lengths each time at prices of 25/1 and 20/1. 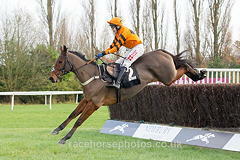 He had a disappointing season on the whole last year but made an encouraging reappearance over an inadequate trip in the Peterborough Chase at Huntingdon, staying on all the way to the line. With his superb record at Kempton Park, he could run into a place if some of the big guns fail to shine. 40/1 is a huge price and he’ll be shorter than that on the day.